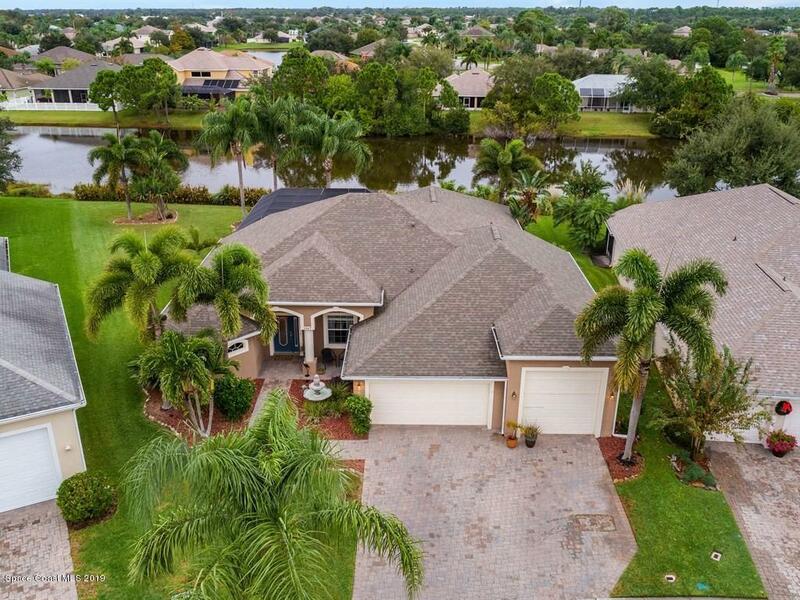 Beautifully maintained 5 BD, 3 BA oasis with lake views, north/south exposure, gorgeous stone accented pool and spa with waterfall, quality updates including lighting, fixtures, flooring and paint! New roof and AC in 2018. 2015 Water heater. Architectural ceiling details, wood feature wall. Island kitchen with granite, breakfast bar, nook and stainless appliances. Tile and wood flooring throughout. Screened lanai with plenty of covered space. Lovely pool and spa with spectacular lake views. 2 car garage PLUS a 3rd RV/boat garage! Awesome neighborhood close to schools, I95, beaches, shopping.